Introduction: The distance between MK Dons and Tottenham is only 50 miles, and yet it seems as if Dele Alli has acclimatized quicker than it takes to traverse that distance. From turning out in League 1 at the start of 2015, to securing a move to Tottenham in the winter window would seem a dream come true, but then to become first-choice for club and earn a cap for the national team at just 19 would seem wondrous. And yet that is what Alli has achieved. Highly-rated, he made his debut at just 16 and continued to put in strong performances. 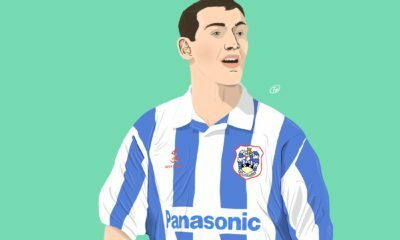 He was part of the lineup that famously thrashed Manchester United 4-0 in the League Cup, with scouts from the big clubs present to watch him. Even with his talent, no one expected Alli to contend for the first team immediately, with the step up in quality, but not only is he contending, but he is regularly starting. Benefitting from Pochettino’s penchant for blooding youth, he has taken his chance with two hands, earning an England call-up, scoring a goal on debut in the emotion-ridden friendly versus France. He has emerged as the new face of the England midfield and could don the role of the midfield leader for the next decade or so. 2015 has been a whirlwind, breakthrough year for the young lad from Milton Keynes. Analysis: Steven Gerrard was Alli’s childhood hero, and it indeed appears as if he has modelled his game on the former Anfield legend. Tall, athletic and technically sound are three adjectives that can describe Alli. He has been used both in the attacking midfield and defensive midfield this season, performing equally well. Despite being a box-to-box marauder, he has still adjusted his game according to the position he is deployed in, an indictment of his willingness to play and put in hard work. Taking into account Tottenham’s two best DMs this season have been converted to the position (Dier and Alli), their performances this season has been nothing short of consistent. The fact that Alli is a natural goalscorer makes it more obvious to use him in a No. 10 role. 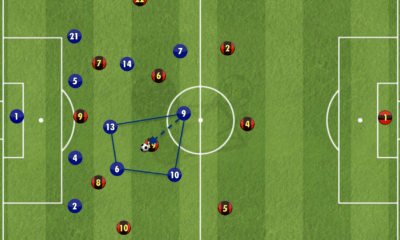 His vision is illustrated through the through balls he threads into the attacking third. His composure and confidence on the ball is also something to note of. 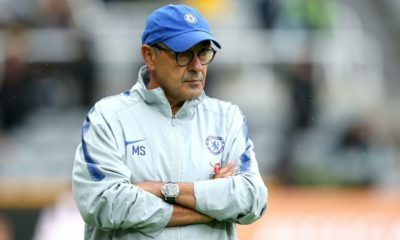 The White Hart Lane faithful have taken a liking to him, and one of the reasons for that is his willingness to chase lost causes and really grind himself into the dust for the team. That attitude is something to applaud for a 19-year old in his debut season in the Premier League. As such, his work-rate on both ends of the pitch really allows others around him to tick. Another strong point of his is his love for a strong tackle. This is both a strength and a weakness, in the sense that his tackling helps to recover the ball, he also commits far too many fouls, as seen in the 8 yellow cards he has collected so far this season. He will have to work on his fouling, even if he himself gets pulled down during the course of the game. It is clear that Alli is the new poster-boy of English football, and he looks like a top-class player. Tottenham stole him for 5 million pounds, and now, he has everyone raving about him. What a talent. Looking ahead: Spurs fans will be wanting more of the same from Alli. He’s endeared himself to the Lane, and with this season promising a great deal for his team, things are looking very bright. Alli has played a role in Tottenham’s success this season, which is down to strong team ethic and hard work. 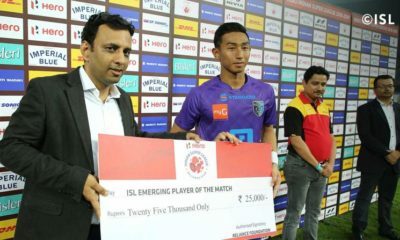 While there is added pressure on him now, it must be noted that he is only 19, and hence prone to the odd mistake. If he can keep up his meteoric rise, he may well be part of a title run in a topsy-turvy league this season, and a ticket to the Euro 2016. Along with Harry Kane, he is the new face of England. It’s an exciting time to be a Spurs fan these days thanks to these two and the rest. Dele Alli, welcome to the spotlight. Introduction: It isn’t Kingsley Coman’s dazzling footwork that defines him. Nor is it his explosive pace, laser-like precision or blonde-tipped, Jedi-braided barnet. It’s his courage. It takes a brave man to depart Europe’s most ambitious club two years after becoming their youngest ever debutant. 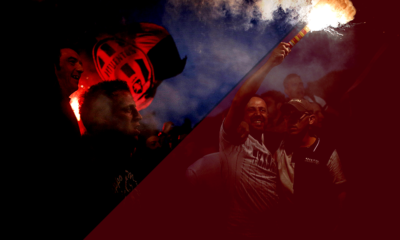 It took a fool, some proclaimed, to bid Arrivederci to Juventus a season later. Yet, still six months from 20, Coman closing in on a fourth straight league title, supplemented by a regular starting spot in arguably Europe’s most devastating attacking unit. As countryman Paul Pogba will attest, impatience is often a virtue. Analysis: After just five Serie A starts last season, Coman’s loan switch to Bayern Munich raised questions and eyebrows alike. If Ezequiel Lavezzi and Roberto Pereyra proved too impenetrable an obstacle, what chance Arjen Robben, Franck Ribery or fellow newcomer Douglas Costa losing their starting berth to this brazen, fitfully erratic young Frenchman? Fifteen appearences, six assists and four goals later, however, allegations of impudence appear comically misplaced. While Laurent Blanc and Max Allegri treated Coman with caution, Pep Guardiola has unleashed him upon the Bundesliga’s unsuspecting backlines. Equally adept on the left or right, the Parisian prodigy has spearheaded Bayern’s shift towards a more direct approach; an exhilarating Plan B to Pep’s possession-heavy principles. 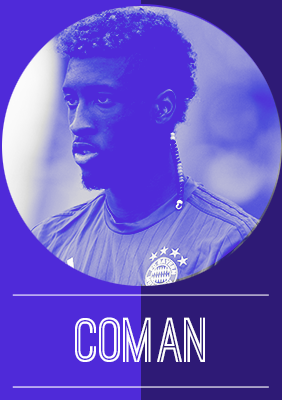 With budding wingers often the epitome of inconsistency, Coman’s impressive end product exemplifies his potential. Sure, there’s stepovers, the odd turn and trick but its underlined by a purpose, an effectiveness to Coman’s play. Less hammering of hopeful crosses, more locating of runners, he averages a goal or an assist every 82 minutes. Robert Lewandowski, in particular, owes his rapidly growing goal tally to the Frenchman’s reliable service. Furthermore, Coman has laid on four Champions League goals, tying him in first place with Alexis Sanchez, Hulk and Neymar. The teenager will soon get used to such esteemed company. Clearly, Coman is no wild-eyed youngster, thrown into the limelight in the midst of an injury crisis. While the recurring absence of Ribery may have suggested as such, dazzling displays against Darmstadt, Mainz and Dinamo Zagreb in September proved he is less a Xherdan Shaqiri mk.2, more Ribery’s long-term heir for club and country. Looking ahead: Making his international bow against Germany last month, Coman’s rapid rise could hardly have been better timed. With Ribery’s fitness failing, his young protégé could cement his position in Didier Deschamps’ starting XI ahead of France’s home-held Euros next summer. A permanent switch to Bavaria seems inevitable for one of Europe’s most exciting teenage talents. 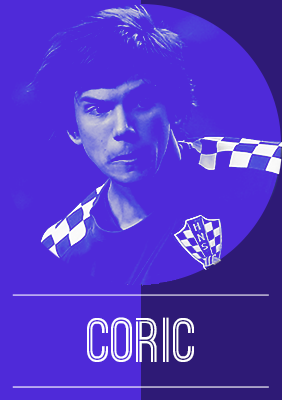 Introduction: Born on 14th April, 1998, Ante Coric had an eventful youth career playing for a number of clubs before finally making the move to Dinamo Zagreb in 2013. The youngster has already chalked up a sizable number of appearances at just 18. The attacking midfielder has drawn comparisons to Croatia’s finest products in recent times such as Luka Modric and Matteo Kovacic. 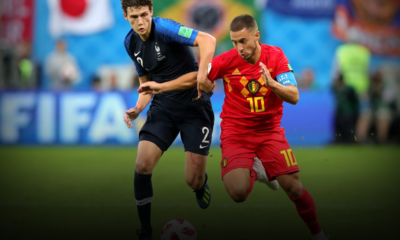 Analysis: The youngster is the archetypal attacking midfielder combining skill on the ball with speed of thought to dazzle fans and opponents. Technically gifted, the 18-year-old has brilliant close control and vision which make him at his best as the number 10 in any team. And when not able to get past his opponent through his considerable skill, he always has pace to call upon and can be seen showing his opponent a clean pair of heels when given the opportunity to do so. The midfielder is not solely a creator though as he poses a considerable goal threat too making him a difficult man to mark. The 18-year-old is two footed but favours his right foot. 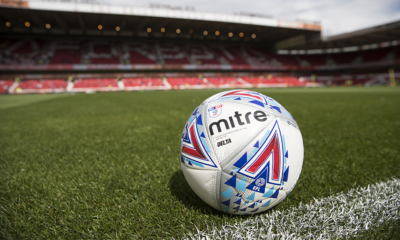 Having made his debut for the senior side in the final matches of last season, the attacking midfielder has had a much more prominent role this season and if reports are to be believed he could be on his way out soon. 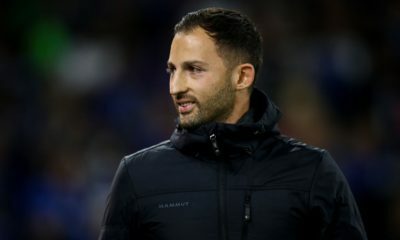 The midfielder has appeared for all of Croatia’s youth teams and even at just 18, a senior call up seems to be a matter of time. Looking ahead: With the window transfer window upon us, Coric could be on the move if reports are to be believed. Despite bursting with potential, the youngster probably needs some more time and senior football under his belt to further his potential. Even if a move to a big club materializes, a loan move would probably serve him the best in the long term. 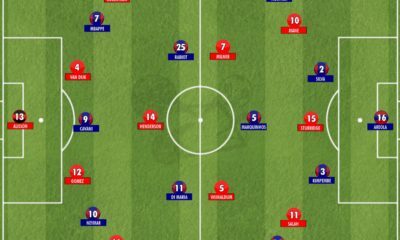 Introduction: Eibar 0-0 Atletico Madrid. A tepid game grinding towards an inexorable stalemate. Until, with 29 minutes remaining, Diego Simone called upon a 5ft 8ins, 20-year-old Argentine for only his second Los Rojiblancos appearance. Seconds later, via a majestic shimmy and angled drive, he pierced a previously impenetrable backline. 15 minutes later, his superb through-ball presented the clincher to Fernando Torres. They say good things come to those who wait. After heart surgery devastated his entire first season in the Spanish capital, Angel Correa is more than making up for lost time. Regular La Liga run outs, a Champions League goal against Benfica, and a debut international strike versus Bolivia, the hype surrounding Argentina’s latest prodigy is close to deafening. 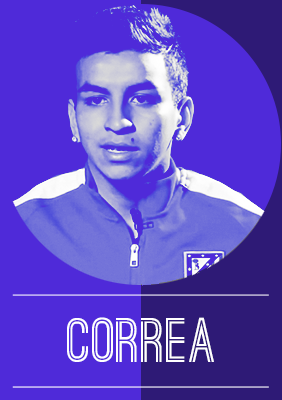 Angel Correa, however, is his own man. He’s taller for a start. And, while inherently two-footed, favours his right. Moreover, his game is defined more by drive than dexterity, powerful, lung-busting bursts than subtle flicks and delicate darting. If you insist on resemblance, Sergio Aguero springs emphatically to mind. And, even then, it doesn’t quite do this diminutive dynamo justice. 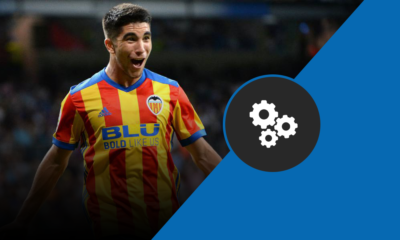 However, after just three La Liga starts, glimpses of Correa remain fleeting. One does not simply stroll into Atletico Madrid’s first-team clique. Entrance must be earned through as much perspiration as inspiration. Luckily, graduating from South America’s school of hard knocks, Correa shares the same warrior spirit that originates Simeone’s fire. Furthermore, he offers a fast-paced, cut-and-thrust alternative to Atletico’s measured, somewhat predictable approach. Against Real at the Calderon, Correa’s his inherent positivity, rapid dribbling and sixpence turns visibly unnerving his unsuspecting opposition. While Oliver Torres, Saul Niguez and Jose Maria Gimenez augment their vast potential with increasing consistency, Correa is the unpolished jewel in Atletico’s crown. Looking ahead: Despite captaining Argentina to victory at the under-20 South American Championship earlier this year, a first team berth at Atletico is essential. Only then can Correa become a viable threat to Aguero, Messi and Tevez, not to mention Angel Di Maria, Nico Gaitan, Gonzalo Higuain, Erik Lamela and Ezequiel Lavezzi in Tata Martino’s star-studded selection. Introduction: “Who is this kid? He’s awesome. He didn’t let me touch the ball”. Those were the words of praise from a certain Juan Roman Riquelme after facing Cubas in a training match in 2013. If that wasn’t enough, Carlos Tevez also hailed the young defensive midfielder as a ‘phenomenon’. Still only 19 and yet to fully establish himself in Boca’s double-winning side, Cubitas is nevertheless one of a highly promising crop of ‘number 5s’ emerging from Argentina and looks to have a big future for club and country. Analysis: Cubas is a bundle of energy, constantly scampering around the base of midfield, putting in tackles and shielding the defence. He is very quick to cover ground and his impressive stamina ensures that his work rate rarely drops. His pressing game is excellent, his positioning top notch and his never-say-die attitude unflappable, all of which combine to create all the hallmarks of a classic defensive midfielder in the making. However, Cubas is more than your average destroyer. Slight of frame and only 5’4’’ tall, his tackling game is remarkably strong but also very fair, as his good disciplinary record attests. What’s more, he has that extra finesse and touch of class that, along with a more expansive passing range, separates him from his peers. 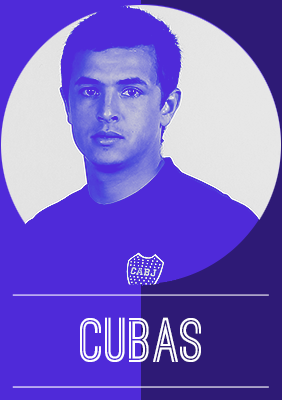 Boca have a fine tradition of deep-lying midfielders and it is Mauricio Serna that Cubas is most often compared to. As you would expect, there is room for improvement. While his low centre of gravity aids his agility and tackling, his lack of height means that he is unable to compete aerially and it is an area that he needs to develop. Though he is already deceptively strong, with time he will also need to bulk up so that he can compete physically. As a defensive midfielder, he isn’t expected to weigh in with many goals but again it is an area which could be improved. His golazo against Defensa y Justicia shows that he does have it in his locker and if developed would make him an even more well-rounded player than he already is. 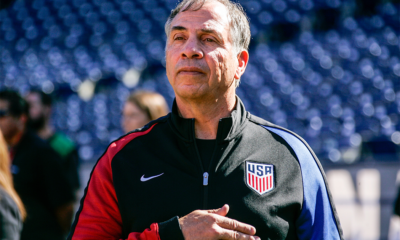 Looking ahead: If all goes to plan, 2016 should be Cubas’ true breakthrough season. Often playing second fiddle to Cristian Erbes, he should get even more game time and try to nail down a starting place for Boca. Despite an offer from Paraguay, he has committed himself to Argentina but has stiff competition from the outstanding Matias Kranevitter and might have to bide his time for a first cap for now. 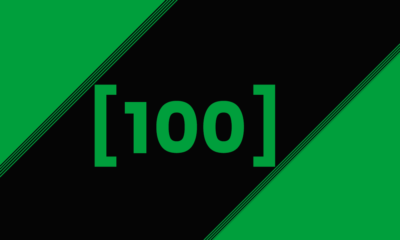 Introduction: Monchegladbach’s season has been a result rollercoaster. A terrible start under Favre led the to a staffing change, with Andre Schubert coming for the Swiss’s spot. With the new coach, Borussia was revitalized and the positive results were back. Through all of that, one thing didn’t change: Mahmoud Dahoud’s talent and climb to success. After being promoted to the senior team last year, the youngster didn’t get to play even a handful of games. This season has been different: the youngster came in from the bench several times under Favre and with the arrival of Schubert – who knew the Syrian born from the youth sides – Dahoud gained a place in the starting eleven. Analysis: Able to play as a more defensive midfielder, Mahmoud’s characteristics make him more of a “number 8”. A great passer of the ball, the German youth international is known for both his ability to keep his head up during the match and how calm he is on his defensive duties. Forming a midfield partnership with Xhaka, he had big shoes to fill – playing in a spot that last year belonged to either the World Cup winner Kramer or the Norwegian Nordtveit. Despite not being the most physical of players, Dahoud manages to more often than not be in the right place to intercept the opponents’ offensive plays. 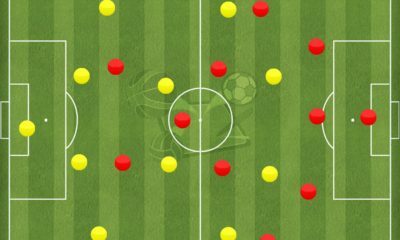 Upon retrieving the ball, the youngster is calm and collected, having the passing capacity to start up play from his own midfield or – when in organized attack – to put his colleagues in solid positions to score. Already with a couple of assists this Bundesliga, Mahmoud has scored twice himself, both times through outside of the box shots. A capability recognized from his youth times, the center-midfielder is dangerous when given space just outside the opposite box. Looking ahead: Despite being born in Syria, Mahmoud Dahoud is a German youth international. Due to living in Deutschland his entire life, I don’t think that’s going to change anytime soon: the 19-year-old will most likely keep climbing through the national team ranks of the European nation. And growing at this rate I wouldn’t be surprised to see him in the senior squad soon enough. Sure he may not be an option for the next Euro but he might just get a spot in the squad for Russia 2018. Introduction: “You can’t compare anyone to (Cristiano) Ronaldo because he is on the top of the world right now but Anwar is similar in his height and style.” Ronald De Boer is right; no player of such a tender age – El Ghazi turns 21 in May – should be compared to one of, arguably, football’s greatest ever players, however, Anwar El Ghazi certainly provides nostalgia to a fresh-faced Cristiano when he arrived in Manchester. After breaking in to Frank De Boer’s side last season, the Moroccan-Dutch winger has taken great strides and is now one of both Ajax, and the Eredivisie’s leading lights. Analysis: Anwar El Ghazi possesses the regular traits of a nippy young winger – he’s fleet footed and provides flair and pace in abundance. However, at 6ft 2in, the 20-year-old is certainly more dynamic than most. El Ghazi broke out of the traps this season with braces against AZ Alkmaar, Willem II and ADO Den Haag. Hitherto, El Ghazi is leading Ajax in successful dribbles (30) – he achieved the same feat in the Eredivisie last season with 59 – and only Arkadiusz Milik can boast to better El Ghazi’s shots per game tally of 2.5 this term. However, the striking aspect of El Ghazi’s game is that he has already showing that he as an ‘end product’, the obstacle that many wingers have failed to overcome. El Ghazi has accrued eight goals, as well as an assist this season, this after nine goals and eight assists in the Eredivisie from El Ghazi last term. Equally apt on either flank, El Ghazi isn’t one to get chalk on his boots for the whole 90 minutes and it his intelligent movement that has made him such a threat this season. While form has undeniably dipped after his injury against Fenerbahce – manager Frank De Boer has said that El Ghazi hasn’t ‘cleared his head’ – it has still been an incredibly fruitful year and season for the former Feyenoord youth player. Looking ahead: Anwar El Ghazi won’t be putting a first international cap on his New Year’s resolution list having made two appearances under Danny Blind after rejecting the chance to play for Morocco, instead the 20-year-old will undertake the task of truly breaking in to the Oranje setup. If he can rediscover his early season form where he simply unstoppable at times and lead Ajax’s Eredivisie chase in the process, then those international caps will start totting up rather quickly for Anwar El Ghazi. Introduction: Such is the prodigious nature of Gerson’s talent that Roma shelled out a whopping €16m for the 18-year-old in the summer. Barcelona had first option on the precocious midfielder but were unable to match the Giallorossi’s bid. One of the standout performers of the U20 Sudamericano despite Brazil’s sub-par showing, Gerson continued to set tongues wagging with eye-catching displays during the Campeonato Carioca and quickly became a regular for Fluminense in his debut Brasileirao season. So far he has taken everything in his considerable stride and it will be fascinating to see how this diamond in the rough deals with his new challenge in Italy. Analysis: A potent mix of grace and power, Gerson immediately conjures up comparisons to Yaya Toure or Paul Pogba. His multi-faceted skill set has seen him used in a number of positions already in his budding career. For club side Fluminense he has tended to feature in a wide right attacking midfield position, occasionally cropping up in the hole behind the strikers or on the opposite flank. 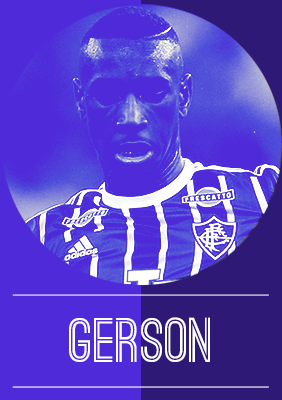 For the Brazil U20s, however, Gerson has predominantly been used in a deeper midfield role and, given his box-to-box capabilities, most pundits consider this to be the position he is best suited to. The fact he has yet to nail down a position is partly what makes him such an interesting prospect. 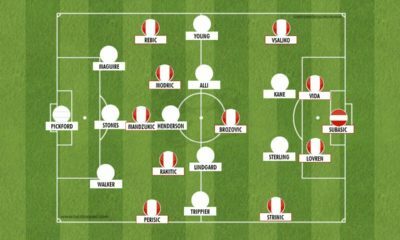 Over the last couple of decades, Brazil has produced midfielders with very specific roles – namely, attack or defend and never the twain shall meet – and as a result now lack many mixed-midfielders. Gerson is different as he can fulfil both disciplines and as such his progress will be keenly observed back in his homeland. Gerson’s greatest quality is his exquisite range of passing. From his left boot, he can play a dazzling array of passes, whether it be a threaded through-ball, a short give-and-go or a horizontal diagonal over the top. 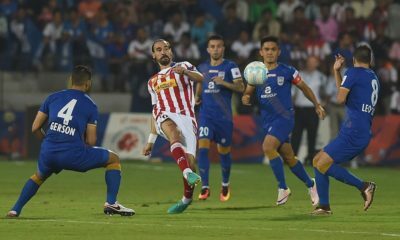 This is complemented by his great vision and technique but he also has the athletic attributes to burst away from opponents with his acceleration and drive towards goal. 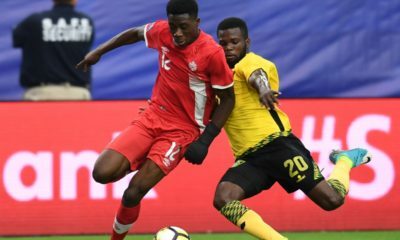 On the negative side, he still lacks consistency and his falling out with Alexandre Gallo, which saw him miss the U20 World Cup, has raised questions over his attitude and focus. Though still far from the finished article, this raw talent nevertheless has all the components to become an excellent all-round midfielder. Looking ahead: Bought very much as a long-term project, Gerson’s main aim should be settling in and adapting to Italian life. Living abroad at such a young age will be a difficult obstacle but Roma has a great track record at developing talent and if he stays focused he could thrive in Italy. A potential loan move will probably be his first step as he is eased in. Introduction: Jonathan Gonzáles started his football career at Ecuadorian side Independiente del Valle, making an impressive 87 appearances before he reached his 20th birthday. Performances in his native Ecuador earnt Gonzáles a move to Mexico at the start of 2015, with the winger given the challenge of trying to keep newly promoted Universidad de Guadalajara in Liga MX. Gonzáles and UdeG gave it everything they had, but fell just short and were relegated on goal difference. Jonathan didn’t go down with the team commonly known as Leones Negros though, moving to seven-time Liga MX champions León in the summer. Analysis: Nicknamed “Speedy Gonzáles”, the Ecuadorian is one of the quickest players around in Mexico, often causing problems for opposition full-backs. The winger’s dribbling skill is also a cause of difficulties for defenders, with Gonzáles able to get around the opposition by using his close control and ability to twist and turn. Attacking midfielders with pace and good dribbling ability are rather common in Latin America though, and although Gonzáles can be inventive, he often lacks a quality end product. This is illustrated by him scoring twice and assisting three goals in 26 Liga MX games in 2015. There’s no reason why Gonzáles won’t improve his end product and become a more effective player in the future, but he needs game time, and he isn’t currently getting enough at León. Jonathan is behind experienced wingers Hernán Darío Burbano and Elías Hernández in the pecking order at León, leading to him making just five league starts so far this season. He’s also had a couple of injury problems, with two of Gonzáles’ starts ending in him being substituted due to injury. 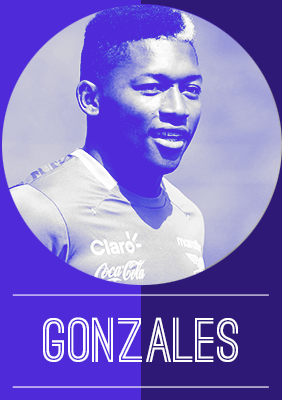 Gonzáles is still a very exciting young player that has the ability to produce the unexpected, but there’s a huge question over whether or not he’ll develop into a quality, effective winger that could move over to Europe in the future, or whether he’ll fail to reach his potential and spend his career around the Latin American leagues. Looking ahead: I thought Gonzáles may have been loaned out to another Liga MX side for the rest of the season in order for him to play more regularly, but it appears that León want to keep him in their squad. The Ecuadorian will therefore be hoping that he gets more chances in the Clausura stage of the Liga MX season, and that when he does get first team football, he impresses enough to stay in the starting line-up. Introduction: While I personally do not like to label players the next Messi, it is easy to see why Alen Halilović has been given the moniker of the “Croatian Messi”. The pint-sized attacking midfielder made waves at Dinamo Zagreb, where he graduated from, breaking a host of age-related records, including becoming his club and country’s youngest ever debutant and youngest player to feature in a Champions League game (second youngest in CL history). He also became the youngest goalscorer in the Croatian league. Making a move to Barcelona B in 2014, he struggled to replicate his form and consistency for the youth team as they got relegated to the Spanish third division, but a move to Sporting Gijón on loan has done wonders, as he has become a key force in the team. With his dominating performances so far, he has clearly established himself as one of the top youngsters in the continent. A lot is expected of him. Analysis: The twinkle-toed Croatian has showed remarkable maturity for a 19-year old in an new environment. Despite suffering a loss of confidence in his first season in Spain, he has bounced back to impress everyone in his time so far at the north coast. Even when accounting for the side’s low average age, Halilović is still one of the rawest, yet he has taken to his role with aplomb. When the ball is at his feet, he truly runs the show, with flicks, feints and other skills in general. He is the focal point of the team in terms of attacking, and can truly control the tempo of the game. His pace allows the team to carry out swift counter-attacks, a method of attack which is most suited to smaller clubs. While he can play as a winger, it is in the centre where he has had most success so far, even though he has been used in a host of advanced attacking positions. While being deployed centrally may make most sense for a player of his skill, he tends to cut inside when placed on the wings, pointing to a desire to be involved in the action. His dribbling, along with his skills, make him a real joy to behold, as he can cleave through defences, while using long-balls to launch counter-attacks. 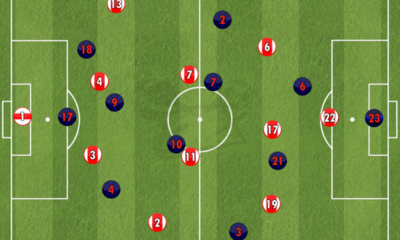 That is the reason why he generally prefers to play the ball along the ground, as that is where his forte lies in. His finishing, too, is a strong point of his. Even when he doesn’t have the ball, he puts in the effort and presses hard, showing a desire to regain the ball as quickly as possible. 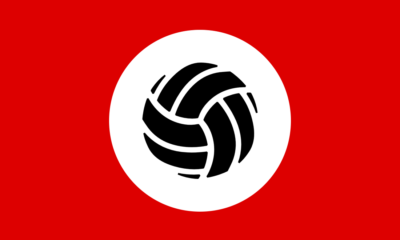 A player of his skill, may hence be deemed too individualistic for his own good, and while that is not truly a weakness here, his passing is something which can be definitely improved on. His size also does not help in aerial duels, being over-powered by stronger defenders. His defensive contribution can also be found lacking at times, although this can be put down to age, while he doesn’t really dive into tackles much. One aspect that could be detrimental could be his attitude, although he has been almost exemplary at Gijón. His impishness on the pitch, when harnessed, can definitely cause havoc. However, it is clear that Halilović possesses enough in his repertoire to become a world-class player, and all he needs is some guidance and training, with which if he keeps his head down, he will be in the top echelons very, very soon. Looking forward: While I did make the reference to Messi, it is probably best for Halilović if such praise is not made, seeing as many players have been dogged by the pressure of emulating Messi. At the moment, the main focus must be to further develop his play, and to improve his versatility as a winger/forward, being used primarily as a central attacking midfielder so far. Whether his future lies at Barcelona or not remains to be seen, whether he will follow the footsteps of Pedro or Deulofeu, but as long as he continues to get game time, he will continue to rise at an electric rate. Gijón are truly lucky to enjoy his services this season, for that privilege will not be enjoyed by many in the future. There is no doubting what he can go on to be, and with patience, he will be a true star, a Croatian world-beater. The next part (the first 10 midfielders), will be published on Tuesday, January 5th.